But above and beyond this, the real monetary effects were not the ones I first assumed them to be. The total money supply — most of which is generated not by the Fed but in the private sector through lending — has been stagnant, even while the Federal Reserve is expanding the monetary base. So while the financial sector is flush with cash and has bid the stock market up above its pre-recession nominal peak, other goods in other sectors just have not had enough of a bid behind them to send inflation strongly upward because other areas of the economy (for instance housing, consumer electronics and real wages) have continued to deflate in the context of continued deleveraging, accelerating offshoring driving down wages and the receding effects of the 2008 oil shock. Yet even more importantly the supply of goods in the West — flowing as it does from East to West, from the factories of the Orient to the consumers of the West — has remained strong and stable. There has been no destabilising, chaotic Chinese crash or revolution, even though many wished there would be in the wake of the Arab spring. And for all the talk by the Chinese and Russians of bond vigilantism, starting a new global reserve currency and dumping the dollar, that has not happened either. And why would it? Certainly, the Asian bond-buyers might have suffered a few years of negative real interest rates. This might have pissed them off. But undermining the Western recoveries further (which have been quite pathetic thus far) when such a high proportion of their assets — dollars and treasuries and increasingly real assets like land and industrials — are related to the economic performance of the West would be to cut off their nose to spite their face, while simultaneously risking conflict with the American military, whose capabilities remain unmatched. The Chinese and Russian talk of de-Americanisation and a post-American world is all bluff and bluster, all sound and fury signifying very little. In the long run, America will have to accept a world where it is no longer the sole global superpower, but there is no incentive for America’s competitors to hasten that way with the kind of aggressive economic warfare that might cause an economic shock. On the other hand, it is certainly true that much of the new money entering the system is sitting as excess reserves. Is that a symptom of the inflation simply being delayed? Until the middle of last year I thought so. Now I very strongly doubt it. The existence of excess reserves in the system is not a symptom of stored-up future inflation, but a symptom of the weakness of the transmission mechanism for quantitative easing. Simply, the system is in a depression. The banking system is infected with a deep paranoia, and would prefer to sit on risk-free cash instead of lending money to businesses. If the money was lent out, there would be an increased level of economic and business activity. Therefore there is no guarantee of any additional inflation as the money is loaned out. So I was wrong to worry that inflation could become an imminent problem. But I was wronger than this. The entire paradigm that I was basing these fears upon was flawed. Simply, I was ignoring real and present economic problems to worry about something that could theoretically become a problem in the future. Specifically, I was ignoring the real and present problem of involuntary unemployment to worry about non-existent inflation and non-existent Asian bond vigilantes. The involuntariness of unemployment is a very simple fact — there are not enough jobs for the number of jobseekers that exist, and there hasn’t been enough jobs since the crisis began. Currently there are just over three job seekers for every job. So unemployment and underemployment are not simply things that can be dismissed as a matter of workers becoming lazy, or preferring leisure to work. Mass unemployment has insidious and damaging social effects for individuals and communities — people who are out of work for a long time lose skills. For communities, crime rises, and health problems emerge. And there are 25 million Americans today who are either unemployed or underemployed as a practical matter it is not simply a case of sitting back and allowing the structure of production to adjust to the new economy. And worse, with unemployment high, spending and confidence remain depressed as the effects of high unemployment create a social malaise. This is a mass sickness — and in the past it has led to the rise of warmongering political figures like Hitler. So while it may be preferable for the private sector to be the leading job creator under ordinary conditions, while the private sector is engaging in heavy deleveraging this is impractical. Under such an eventuality the state is the only institution that can break the depressionary trend by creating paying jobs and fighting back against the depressionary tendency toward mass unemployment. Certainly, centralised bureaucracy can be a troublesome and distortionary thing. But there are many things — like mass unemployment and underemployment, and the social problems that that can bring — worse than centralised bureaucracy. And no — this kind of Keynesianism was not the problem in the 1970s. By worrying over the potential for future inflation or future bond vigilantism due to monetary and fiscal stimulus, I was contributing to the problem of mass unemployment, first of all by not acknowledging the problem, and second by encouraging governments and individuals to worry about potential future problems instead of real-world problems today. As it happened, a tidal wave of evidence has washed these worries away. It is clear from the economic data that inflation is not a concern in a depressionary economy, just as Keynesian-Hicksians heuristics like IS/LM suggested. Of course, if the depression ends of its own accord then inflation could become a problem again. If the United States were to experience a strong unexpected spurt of growth sustained over a year or so, pushing unemployment significantly down and growth significantly up, inflation could rise appreciably. The Federal Reserve would have to quickly taper both its unconventional policies and probably begin to raise rates. Of course, that is rather unlikely in the present depressionary environment. But certainly, it is a small possibility. That would be the time for the Federal Reserve to start to worry about inflation. A strong negative energy shock — like the one experienced by the UK in 2010 and 2011 — could push inflation higher too, yet that would be a transitory factor in the context of the wider depressionary environment, and would most likely fall back of its own accord. 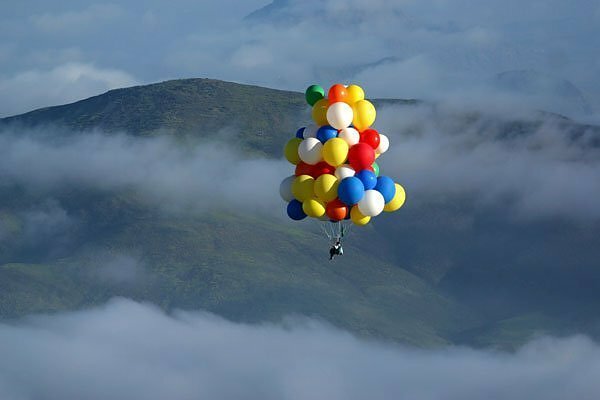 If the Fed was engaging in actual helicopter drops — the most direct transmission mechanism possible — there would likely be a stronger inflationary response than that which we have seen thus far. Yet ultimately, this might prove desirable. After all, if the private sectors of the entire Western world have a very large nominal debt load which they are struggling to deleverage, some stronger inflation would certainly begin to minimise that. Yes, that is redistribution from lender to borrower. No, creditors will not be happy about this. But in the end, creditors may find it easier to take an inflationary haircut than face twenty years of depressionary deleveraging as Japan has done. Although the West certainly does not have the same demographic troubles as Japan, such an outcome is possible unless people — governments, entrepreneurs, individuals, society — decide that unemployment and a lack of demand in the economy must be tackled, and do something about it. Then can we confidently expect to climb out of the lip of the deleveraging trap. The actual cause of the desire to save rather than consume or invest is uncertain. Perhaps this is a demographic trend — with more people closing in on the retirement age, they seek to save more of their income for retirement. Perhaps it is a psychological trend — fear of investment in stock markets and bond markets, due to fear of corruption, or market crashes or a general distrust of corporations. Perhaps it is a shortage of “safe” assets — by engaging in quantitative easing, central banks are removing assets from markets and replacing them with base money, and deleveraging corporations are paying down rather than issuing new debt. 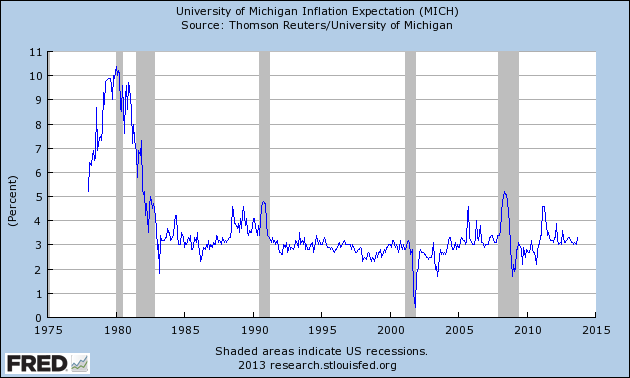 Perhaps it is anticipation of deflation — people expecting that saved money will increase its purchasing power in future. Perhaps it is a combination of all these things and more. But whatever it is, we know that there is an extraordinary savings glut. There have been a lot of assertions that interest rates at present are unnaturally or artificially low. Well, what can we expect in the context of such a glut of savings? Higher interest rates? Based on what? 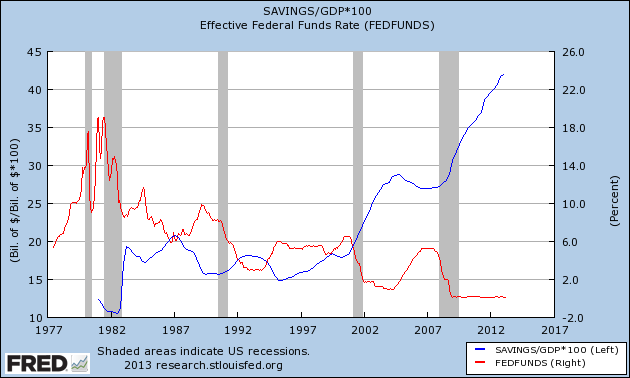 There was a clear negative association between savings and interest rates up until interest rates fell to zero, while the savings rate continued to soar. Theoretically, lower interest rates ceteris paribus should inhibit the desire to save, by lowering the reward for doing so. But interest rates cannot fall below zero at least not within our current monetary system — there exist some theoretical proposals to break the zero bound using negative nominal interest rates, but these remain untested and controversial. Even tripling the monetary base — an act that Bernanke at least believes simulates an interest rate cut at the zero bound — has not discouraged the saving of greater and greater levels of the national income. In the long run, the desire to save increasingly massive percentages of the national income will cool down. Sooner or later some externality will jolt the idle resources in the economy into action. But that is the long run. In the short run saving keeps soaring. Investors are not finding better investment opportunities for their savings and the structure of production does not appear to be adjusting very fast to open up new opportunities for all of that idle cash. 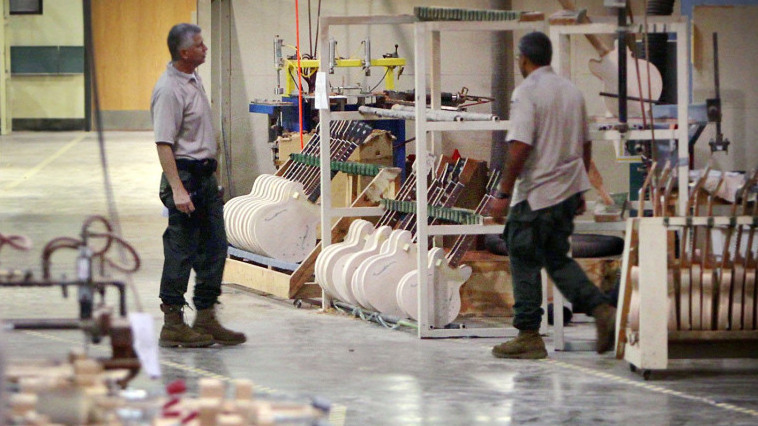 In the hottest part of an August Tennessee day last Thursday, Gibson Guitar CEO Henry Juszkiewicz stood out in the full sun for 30 minutes and vented to the press about the events of the day before. The raids at two Nashville facilities and one in Memphis recalled a similar raid in Nashville in November 2009, when agents seized a shipment of ebony from Madagascar. They were enforcing the Lacey Act, a century-old endangered species law that was amended in 2008 to include plants as well as animals. But Juszkiewicz says the government won’t tell him exactly how — or if — his company has violated that law.